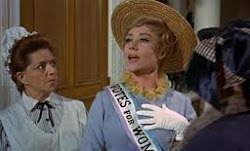 Mrs. Banks goes to Convention: Zonta Pre-Loved Fashion Sale - Be our Guest, Buy my Vest! 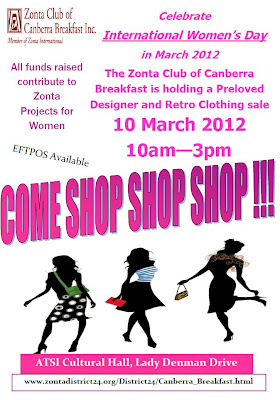 Zonta Pre-Loved Fashion Sale - Be our Guest, Buy my Vest! Do you love a bargain? Do you love new clothes? Do you want to get bargain clothes AND do good for the community? This is the fundraising event of the year - the Zonta Pre-Loved Fashion Sale - and it's next weekend! 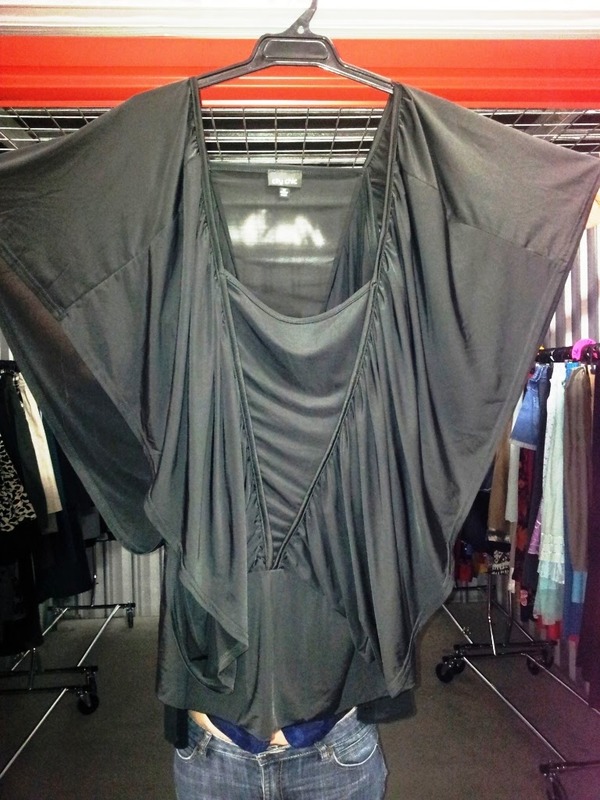 We get the most amazing array of fantastic donations. Let's take a look. With great love and affection for all our donations, for The Simpsons and for Disney's 'Beauty and the Beast' - all of whom have been mercilessly taken advantage of. See my vest! See my vest! See my vest! Like my loafers? Former goafers. Either that or skin my chauffeurs. Buy my vest, buy my vest, Oh Please won't you buy my vest? We've been doing this sale for 4 years now and it is our main fundraiser for the year. 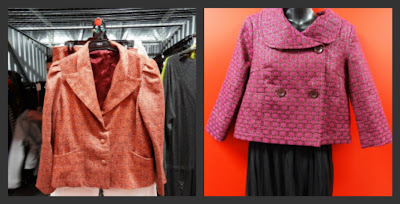 All year round we collect thousands of women's clothings items - and shoes, jewellery, scarves, handbags - and hours are spent sorting, cleaning, culling, fixing and hanging. Well - not my hours. I'm busy photographing it all. 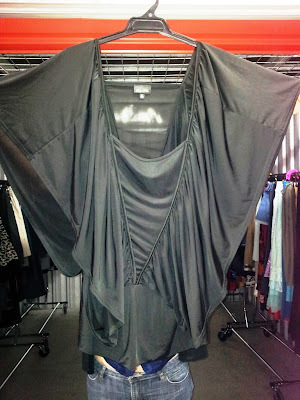 There are thousands of items including brands such as Carla Zampatti, Guess, Louboutin, Covers, Max Mara, Isaac Mizahri, Country Road, Alannah Hill, Lisa Ho, Laura Ashley, Ashley Fogel, Timberland, Stussy and it goes on. p.s. I want to assure we treat all donations with respect and care. Your donations are our lifeblood and fund the projects that touch the lives of thousands of women in Canberra and surrounds. 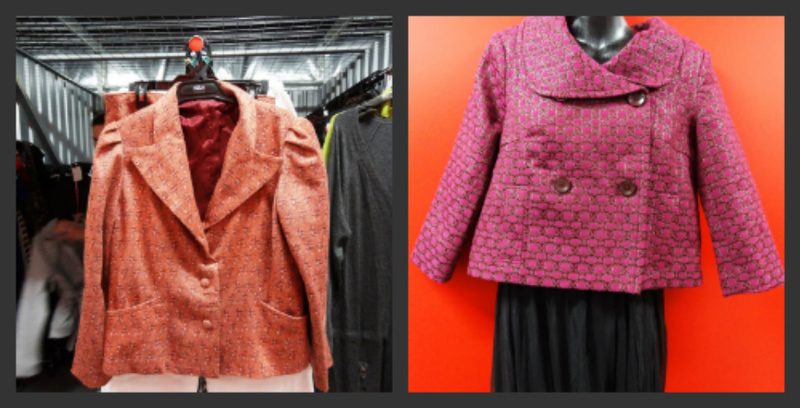 Unsold donated items go to Working Wonders, Bega Women's Refuge and St. Vincents. 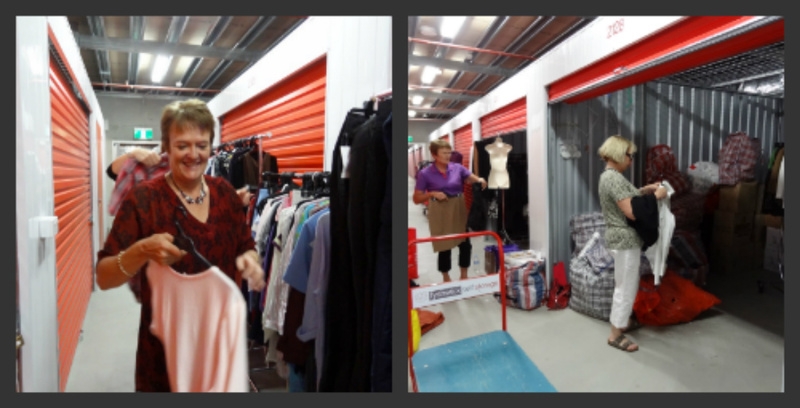 Our 2012 Major Sponsor is Fyshwick Self Storage, whose spacious and clean premises you can see in the background of the photos. We've also received support from the Federal Office for Women, Beauty Presence Salon, Lyneham, the ATSI Cultural Centre, and the employers, friends, and family of our club members.